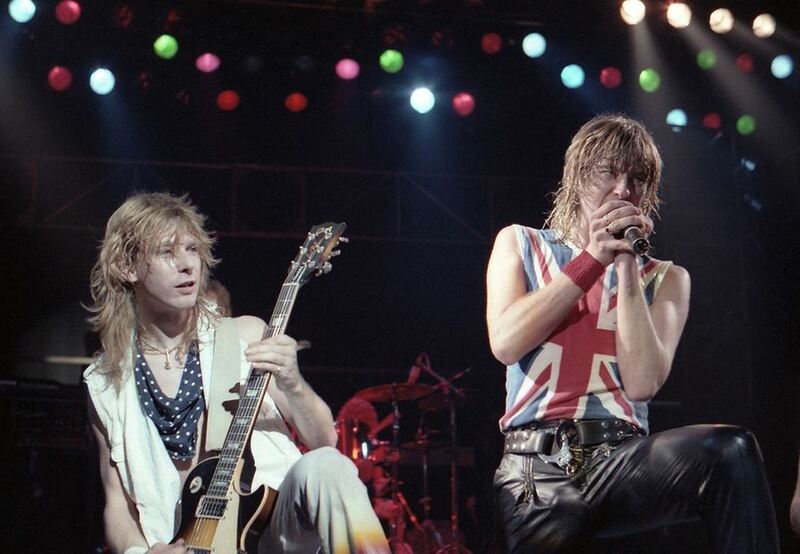 Def Leppard are streaming archival footage from a vintage 1983 concert performance at Germany’s Rock Pop Festival. The group’s commercial breakthrough broke the UK rockers worldwide with hits like “Photograph” and “Rock Of Ages” while earning Diamoand status in the US for sales of more than 10 million copies. “Pyromania” will be featured on “Volume One”, the first of four career-spanning box sets from the band; due June 1 and available in limited-edition 180-gram heavyweight vinyl and CD box sets, the package delivers the group’s first four studio albums – 1980’s “On Through The Night”, 1981’s “High ’N’ Dry”, 1983’s “Pyromania” and 1987’s “Hysteria” – alongside bonus live and studio material. The box set arrives in sync with Def Leppard’s co-headlining tour of North America with Journey, which will begin in Hartford, CT on May 21.